True Death, on the surface, is a police investigation story, but it goes beyond that. The internal struggles and conflicts of the main characters become the focus of a story more about love, grief, compassion, and forgiveness. 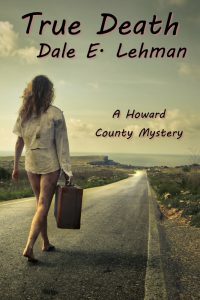 This is the second novel in Lehman’s Howard County Mystery series. If, like me, you haven’t read The Fibonacci Murders, some scenes of True Death will seem confusing. Removing the Fibonacci material might help readers to follow the plot of this novel by reducing the number of named characters they have to keep track of.